In a few days, we’ll gather with our families to celebrate Christmas. Many of us will open our Bibles to reflect on the Christmas story. While reading Luke 2 or Matthew 1, we’ll learn with Mary that she’s been chosen to give birth to Jesus. We’ll travel with Joseph and Mary to the tiny town of Bethlehem—population: 300—and witness the humble birth of Christ in a lowly stable. We’ll then observe the shepherds and hear the angels. We will marvel with Mary as she treasures these things and ponders them in her heart. But if we’re not careful, we’ll miss one of the most extraordinary characters in the Christmas story—a gracious Middle Eastern day laborer named Joseph who learned and accepted with joy that he had been tasked to raise the Son of God as his own child. Joseph of Nazareth is not merely a prop in the manger scene. He’s not a plastic or ceramic piece to stick between the shepherds and the manger. Joseph is a real and necessary example of parenting a non-biological child for the glory of God. 1. Adoption creates family. Shared genetics are not required. The book of Matthew traces the genealogy of Christ through Joseph’s bloodline—as opposed to Mary’s—to establish the qualifications of Christ as Israel’s Messiah. The Bible communicates the legitimacy of Jesus in Joseph’s lineage. 2. Adoption is not Plan B. To believe that adoption somehow diminishes the good plans of a loving God is to believe the Christmas story was a mistake. Adoption—and adoptees—are not the exception to God’s goodness. Yes, adoption includes loss and heartbreak. But God has an extraordinary way of creating beauty from ashes. He could have chosen any means to place Jesus in the world, and He chose to put Jesus into Joseph’s family. 3. Adoption honors the character of God. When Joseph uprooted his family and moved them from Nazareth to Egypt to protect Jesus from the murderous intentions of Herod, he placed his own life, kinship, and inheritance at risk. His willingness to invest self-sacrificially in Jesus demonstrates the rich and Biblical echoes of God’s character as our Heavenly Father. So as you read the Christmas story this month–or as you introduce the members of the manger scene to your children–don’t skip Joseph. He’s not merely a necessary supporting role in the Christmas cast of characters. He’s a good example of an adoptive dad who joyfully embraced his role in the life of Christ for the glory of God. 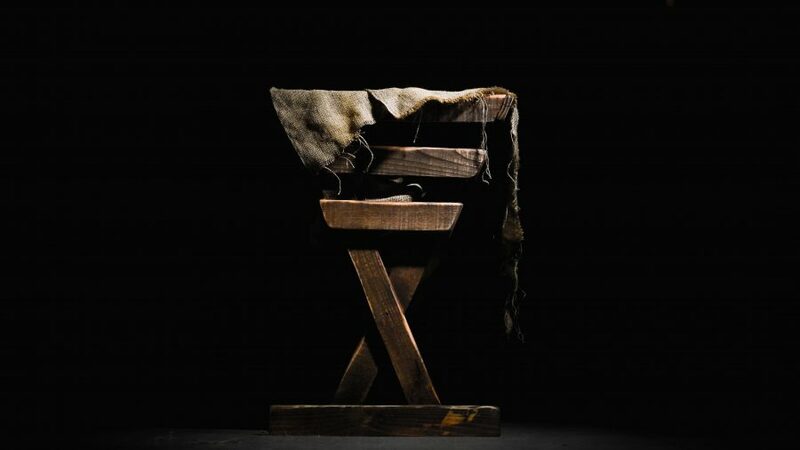 In very real ways, the Christmas story is an adoption story. Help orphans become sons & daughters today.